Prince George Starts School and He Looks Royally Adorable! Nawwww! 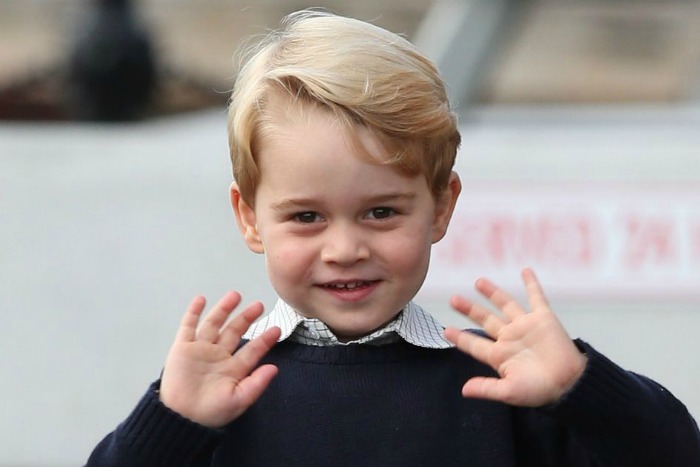 Prince George makes his grand debut at big boy school. Although his mum, the Duchess of Cambridge couldn’t be there, the Duke of Cambridge was on hand to walk his son to school. Prince George looked as darling and dapper as ever as he arrived at the entrance of Thomas’s Battersea in London. Dressed in the traditional school uniform, the four-year-old held hands with Prince William. He was met by the Head of Lower House at Thomas’s Battersea, Helen Haslem. The prestigious Thomas’s Battersea costs $30,000 per year and emphasises “courtesy, confidence, humility and learning to be givers, not takers”. The school has some impressive alumni including model Cara Delevingne and singer Florence Welch from Florence and The Machine. The picture perfect moment was missing proud mum, Kate, who is pregnant with baby #3. She presumably stayed back at Kensington Palace, still suffering from hyperemesis gravidarum. 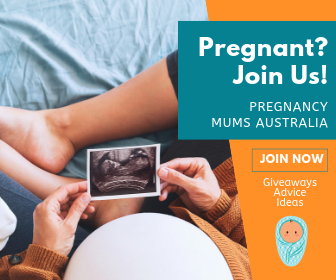 The Palace announced Kate’s pregnancy on 4 September 2017 after Kate was forced to cancel a public engagement due to extreme morning sickness. 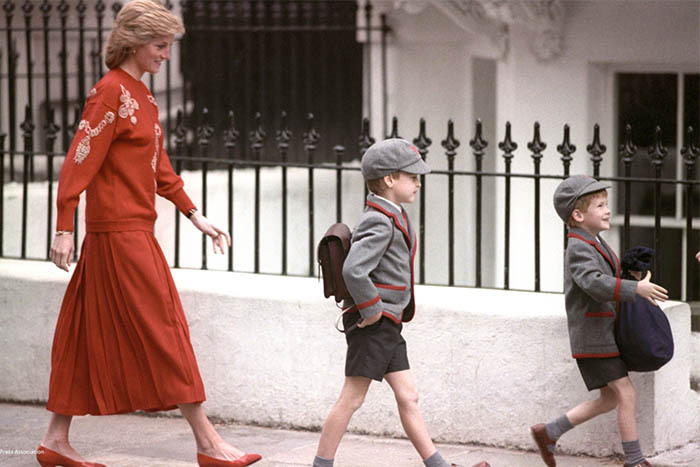 To celebrate Prince George’s big day, the Palace also shared some adorable throwback pics of Prince William and Prince Harry attending Wetherby Preparatory School in Marylebone, London. Seriously, how cute are the royal brothers? And those hats! A massive congratulations to the adorable Prince on this amazing milestone. 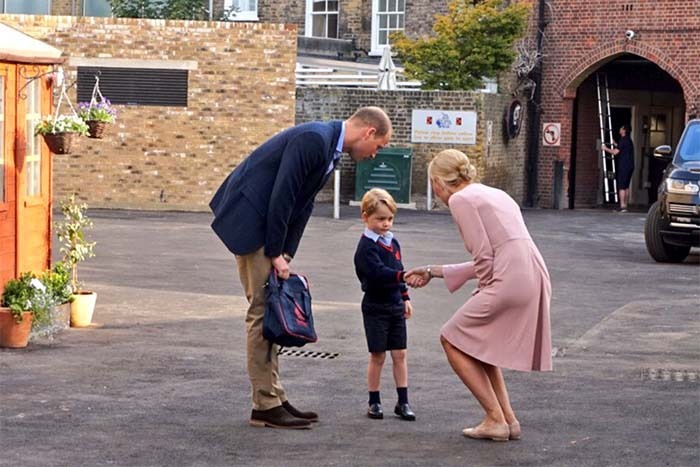 We are sure Kate, Prince William and little sister, Princess Charlotte, will be eager to hear all about his first day! For more Royal goodness, check out these Regal Baby Names That You Can Bet on For Royal #3.